Apply today to borrow some Finch robots, a perfect companion for computer science education! Earlier this year BirdBrain Technologies loaned out 500 Finch robots to schools/libraries across the country to catalyze computer science activities. They are expanding the program once again: loaning out 750 Finches in total for use from October 2015 to August 2016. They have made a number of modifications to the program: you can now request to borrow as few as ten robots, and you can keep the robots for two months (or longer, if properly justified). Participation is completely free. The Finch robot is an engaging tool for learning programming and computational thinking. 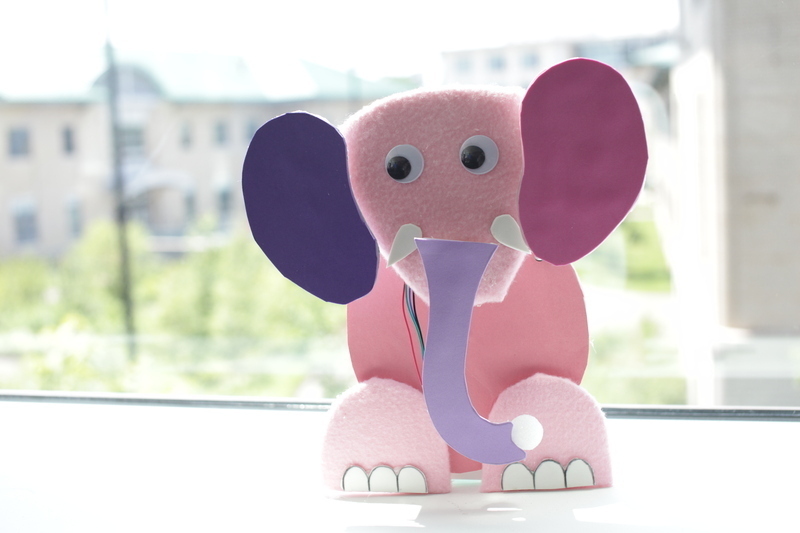 It has support for over a dozen programming languages, including environments appropriate for students as young as eight years old. With light, temperature, and obstacle sensors, buzzers, LEDs, accelerometers, and even a pen mount for drawing, the options are limitless! 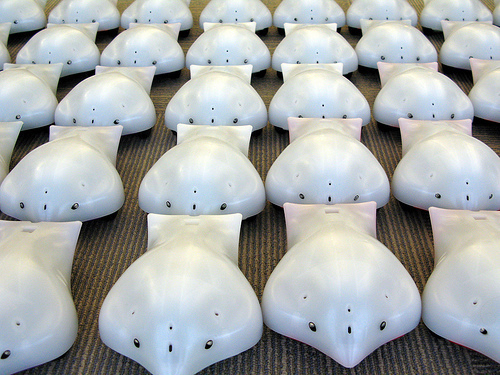 In the past year, BirdBrain Technologies has sent sets of 50 Finch robots to over 70 schools to use for one month. The program has allowed tens of thousands of students to learn programming and robotics. They are pleased to announce that they are re-opening the school loan program for 2015. More information for schools can be found here. This year they are excited to expand the loan program to include libraries. Libraries can apply to receive 6 or more Finches for 3 to 9 months, with possibility of converting the loan into a permanent donation. More information for libraries can be found here. Application deadline is January 19th, 2015. There's still time to register for the Three Rivers Educational Technology Conference on Nov. 17th & 18th. TRETC is the premier K-16 educational technology conference in Western Pennsylvania. Over 350 educators from K-12 schools, higher education and non-profits come to the event. In addition, each year over 30 vendors showcase their new technologies. Description: This session will present trending APPS and tools in a fast-paced, fashion show format. Learn how to engage your students, stimulate creativity, foster collaboration, and encourage deeper learning while putting your teaching style in a class of its own. The Visual Programmer software has been updated to enable you to choose the directory where your Visual Programmer files are stored. So, when a student launches the app, the first thing they'll do is go to the settings tab to tell the app where to store and find his/her files. For Windows, you will need to un-install and re-install the software to activate these changes. For Mac, you will just need to drag the new software into your Applications folder and let it overwrite the old one. Standalone versions are available for Mac, Windows and Ubuntu Linux. The Web Start version has been discontinued. If you have the Web Start version it will continue to work but you will be prompted to download the new version upon launching the program. A zip file version is also available for Linux users and users with complicated installation scenarios. The	software now automatically checks for	updates every	time	the	application	is	launched. If	an update	is	available,	the	Settings	tab	(the	one	with	the	gear	icon)	will	provide	a	link	to	download	the	latest version. To	upgrade,	simply	download	the	latest	version	and	repeat	the	installation	steps. Your	saved Expressions	and	Sequences	will	not	be	affected. An updated version of the Installation and Connection Guide can be found HERE. 1. Make	sure	you	have	Java	SE	6	or	later	installed. 3. Click	the	appropriate	Download	button	for	your	robot	(Hummingbird	or	Finch)	and	operating	system (Mac	OS, Windows, or Ubuntu Linux). • Mac	OS:	you	will	download	a	disk	image	file	(.dmg). Double-click	it	to	mount	and	open	the	disk image. 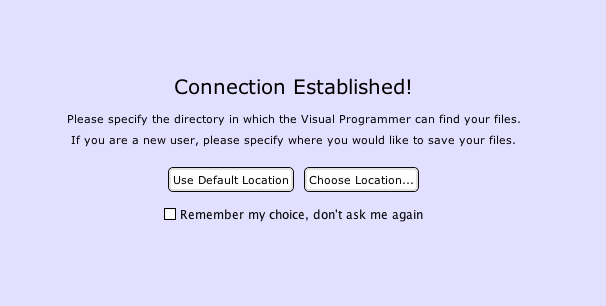 Once	it	is	open,	simply	drag	the	Visual	Programmer	application	to	your	computer’s Applications	folder. Once	it	has	copied,	you	may	eject	the	disk	image. • Windows:	you	will	download	an	installer	file	(.msi). Double-click	to	open	it	and	follow	the installation	wizard	steps	to	install	the	Visual	Programmer. • Ubuntu	Linux:	you	will	download	a	package	file	(.deb). Double-click	to	open	it	and	then	select	Install Package. 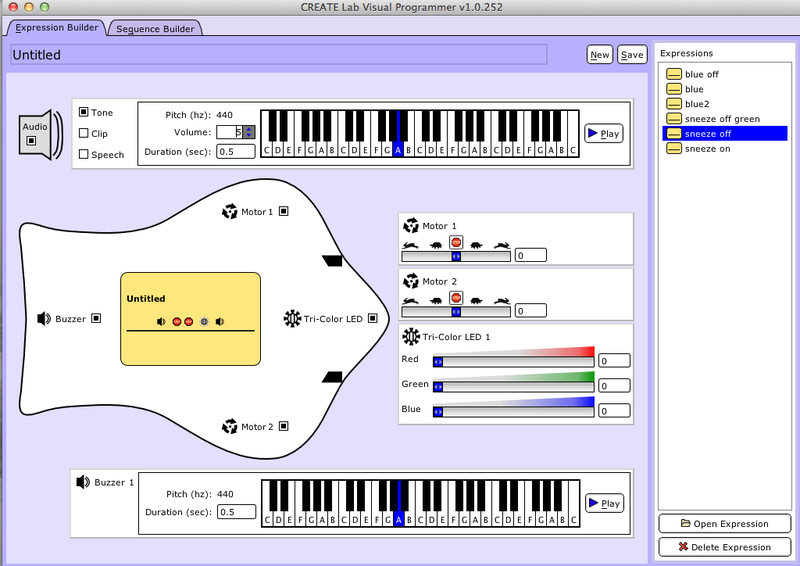 • Mac:	double	click	the	CREATE	Lab	Visual	Programmer	application	in	your	Applications	folder. • Windows:	select	the	CREATE	Lab	Visual	Programmer	application	in	the	Start	menu,	or	double-click the	icon	on	your	Desktop. • Ubuntu	Linux:	double-click	the	CREATE	Lab	Visual	Programmer	application	icon. 6. If	you	run	the	software	and	see	a	screen	like	one	of	the	ones	below,	you’re	done! Please join CREATE lab team on Wednesday, May 23, 2012 from 5pm-7pm. The team will demo the newest visual programmer software for Finch. If you already have a Finch, you can start playing by downloading the free software HERE. If you want to learn more and get a chance to win 1 Finch robot, come to CMU on May 23. Tom Lauwers, developer of Finch and founder of birdbrain technologies, will be at the event with lots of finches for you to test. The CREATE lab visual programmer for Finch takes the inspiration from the hummingbird. But If you are very new to the Arts & Bots, this is also a great opportunity for you to meet our pioneer teachers and get inspired on how to use Arts & Bots in the classroom. Door Prize: 1 Finch Robot donated by birdbrain technologies.